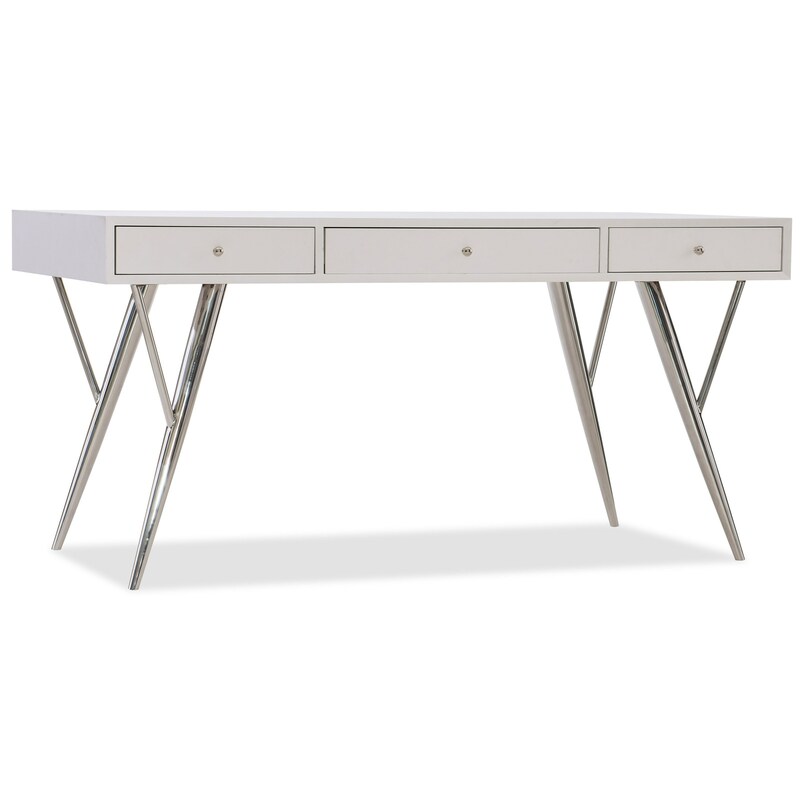 This writing desk brings not only contemporary style to your home office, but also a streamlined style that is perfect for keeping your head clear. The desk features two side drawers with three removable dividers, and an additional pencil tray and writing slide to be used in either drawer. 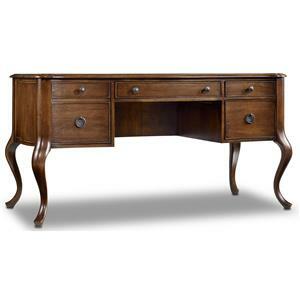 Its center drop-front drawer stores your keyboard to best keep your desk a clean and clutter-free space. 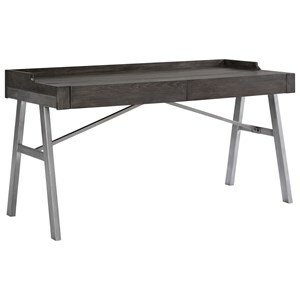 The 5622-10 Contemporary Writing Desk with Drop-Front Keyboard Drawer by Hamilton Home at Rotmans in the Worcester, Boston, MA, Providence, RI, and New England area. Product availability may vary. Contact us for the most current availability on this product. 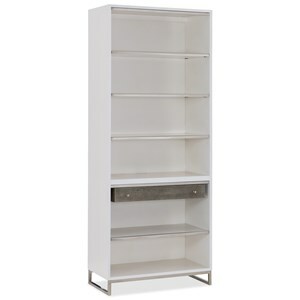 This collection brings both clarity of mind and ample storage to your home office. 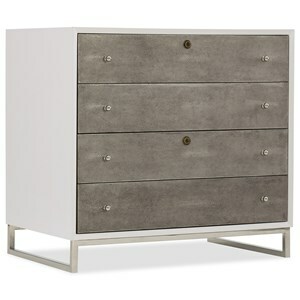 Featuring adjustable and configurable storage, these contemporary pieces are sure to fit your own personal work style just like a glove. The 5622-10 collection is a great option if you are looking for Contemporary furniture in the Worcester, Boston, MA, Providence, RI, and New England area. Browse other items in the 5622-10 collection from Rotmans in the Worcester, Boston, MA, Providence, RI, and New England area.